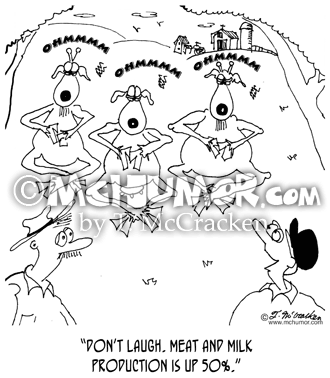 Goat Cartoon 6927: Goats sit in a yoga position and chant “ohmmm.” A rancher says, "Don’t laugh. 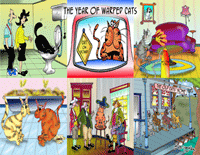 Meat and milk production is up 50%." 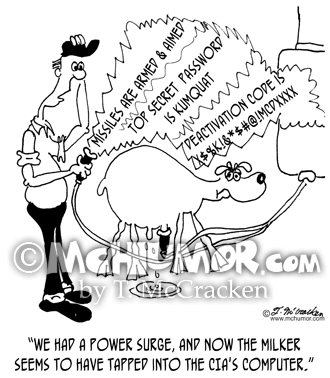 Dairy Cartoon 6647: A dairy farmer looking at gobbledygook coming out of his milker saying, "We had a power surge, and the milker seems to have tapped into the CIA's computer." 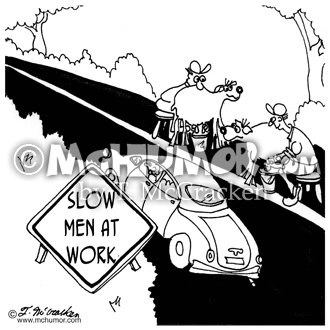 Dairy Cartoon 6652: A traffic sign says: "Slow, Men Working." In the middle of the road a man is milking a goat. 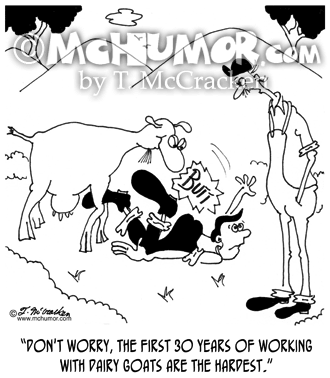 Dairy Cartoon 6234: As a new hand is butted by a goat an old hand says "Don't worry, the first 30 years of working with dairy goats are the hardest." 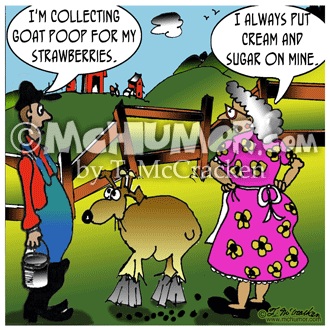 Goat Cartoon 9088: Someone with a bucket says to a goat rancher, "I'm collecting goat poop for my strawberries." 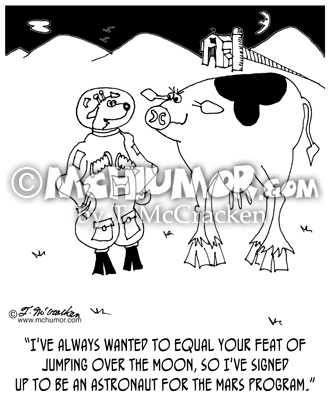 The rancher says, "I always put cream and sugar on mine." 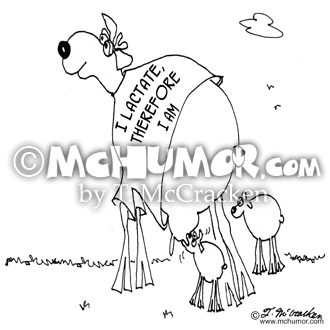 Goat Cartoon 6826: A goat wearing a T-shirt, "I lactate, therefore I am." 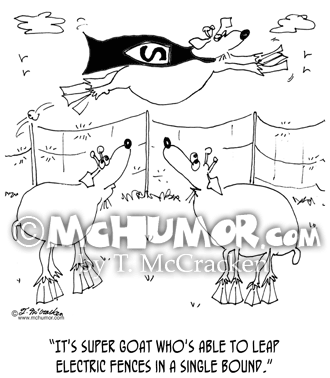 Goat Cartoon 6952: Looking at a flying goat in a cape another says, "It's Super Goat who's able to leap electric fences in a single bound." 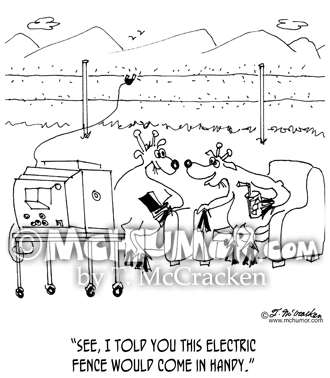 Television Cartoon 7224: A goat with a TV plugged into an electric fence says, "See, I told you this electric fence would come in handy." 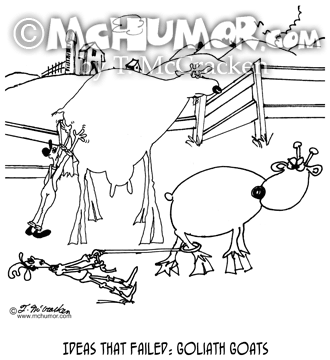 Goat Cartoon 6496: “Ideas that failed: Goliath Goats." A rancher tries to catch twenty-foot tall goats.